Oh my gosh I really want to move my family to Switzerland!! Look at this incredible underground residence. It’s perfect. This will be my last post of the week as we’re going up to visit with my folks and introduce Henry to my nana. She came all the way from Florida to visit him. He’s so lucky to have a great grandmother. On second thought maybe we should stay in Brooklyn. Switzerland might be a bit to far of a trip for family to visit. 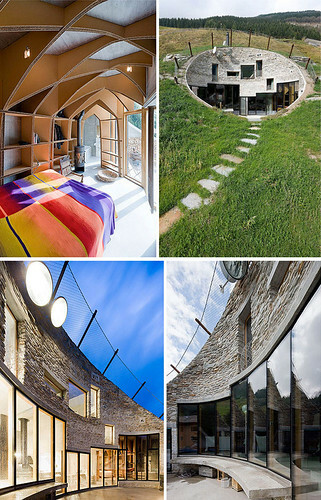 Perhaps we’ll just use the underground house as a weekend getaway? !